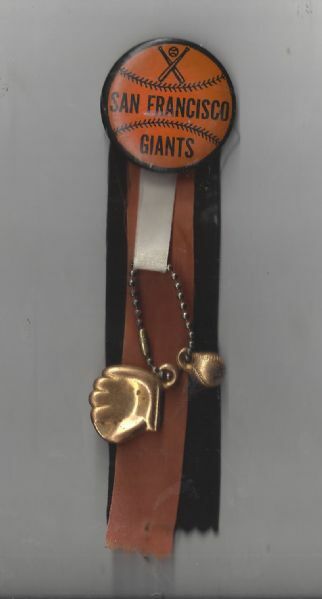 From the early days of Candlestick Park in SF. Approx. 1 5/8" in diameter. Has (2) dangling ribbons and (2) charms (one ball and one glove). The extended stick pin on back has been turned upward. Very nice.